Despite its spectacular tropical beachside location and proximity to the world famous Great Barrier Reef, Port Douglas is a surprisingly affordable holiday destination. Offering excellent value for money, Port Douglas budget accommodation offers a wide variety of options conveniently close to some of the region’s most popular activities and attractions. Allowing you to make the most of your time and money in Port Douglas, these cheap accommodation options don't sacrifice on quality. Kick back, relax and enjoy the lazy beachfront lifestyle without the price tag – there are budget Port Douglas accommodation options to suit even the fussiest travellers. Take advantage of this stunning location where affordable resorts rub shoulders with some of the most luxurious holiday resorts in Tropical North Queensland. Garrick House is an excellent property in a good location just 200 metres from the beach and a 5 minute walk from the town centre. Offering stylish accommodation in the form of self-contained studios and 1 and 2 bedroom apartments, you can enjoy the added benefit of preparing your own meals as yet another way to save money while on holidays. The tropical landscaping and sparkling pool, with its gazebo and BBQ area, provide the perfect setting when you're ready to relax. 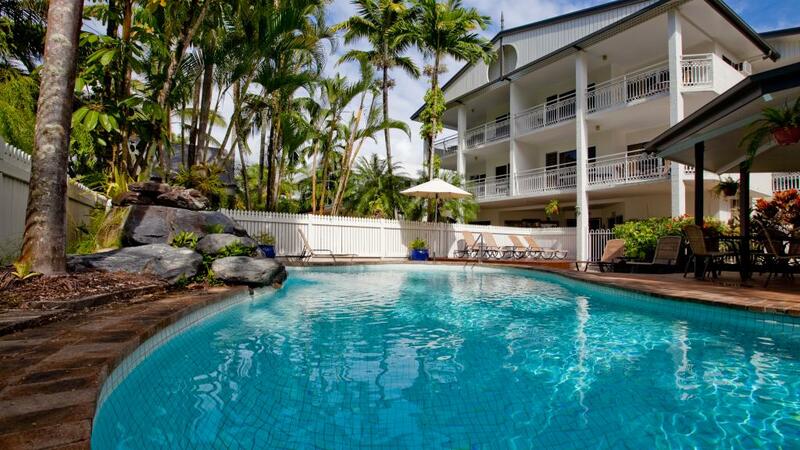 Surrounded by some of Port Douglas’ most popular local attractions, just a short walk to famous Four Mile Beach and only a few blocks from the cosmopolitan dining hub of Macrossan Street, you’ll have no problem meeting the 3 night minimum stay. Lychee Tree Holiday Apartments offer budget Port Douglas accommodation in the perfect location, within walking distance of the beach, restaurants and the town centre. Featuring newly refurbished one and two bedroom apartments, you’ll enjoy your own private patio or balcony for relaxing and can save money on dining out with fully self-catering kitchen facilities. Located in the centre of Port Douglas Village, Palm Villa's budget accommodation is within walking distance of Four Mile Beach, the marina and a variety of restaurants and boutiques. A large indoor atrium of towering tropical plants sets the scene for the cool, relaxing atmosphere while the self-catering unit accommodation offers more opportunities to save on eating out every meal. 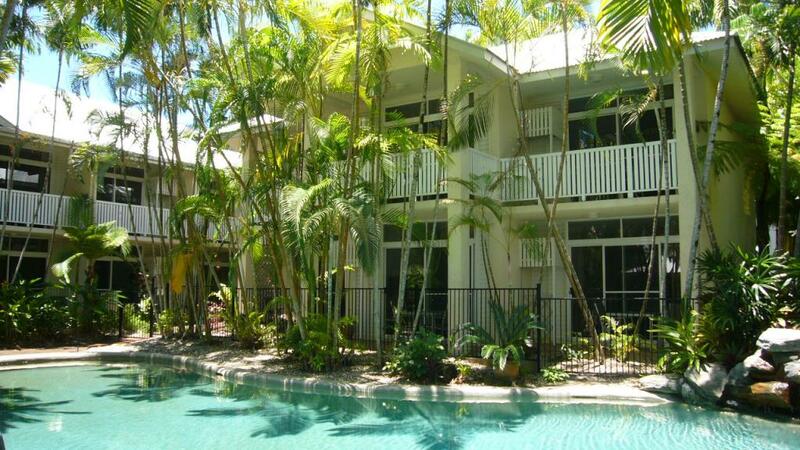 Located just a short stroll from Port Douglas village, Port Douglas Retreat features a heated pool, BBQ facilities and lovely tropical landscaping. This budget accommodation is just a 3 minute walk to Port Douglas Village and offers spacious, stylish studio-style air conditioned units close to some of the best local activities, attractions, shopping and dining.